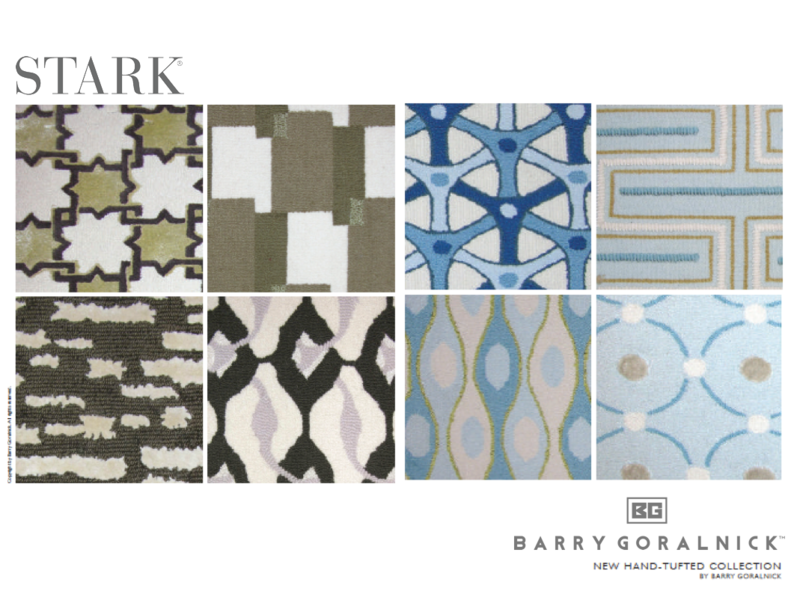 Barry Goralnick for Stark is a collection of rugs and carpets which consists of over thirty designs. These fresh designs incorporate geometric patterns in small and large scale approaches. The rugs have been produced in Stark’s signature neutral palette, as well as in a variety of exciting colorways. The line is the culmination of an ongoing collaboration between Barry Goralnick and Stark. The American designer began his career and established himself in architecture and, then interior design. Now, Goralnick brings his talents to product design. 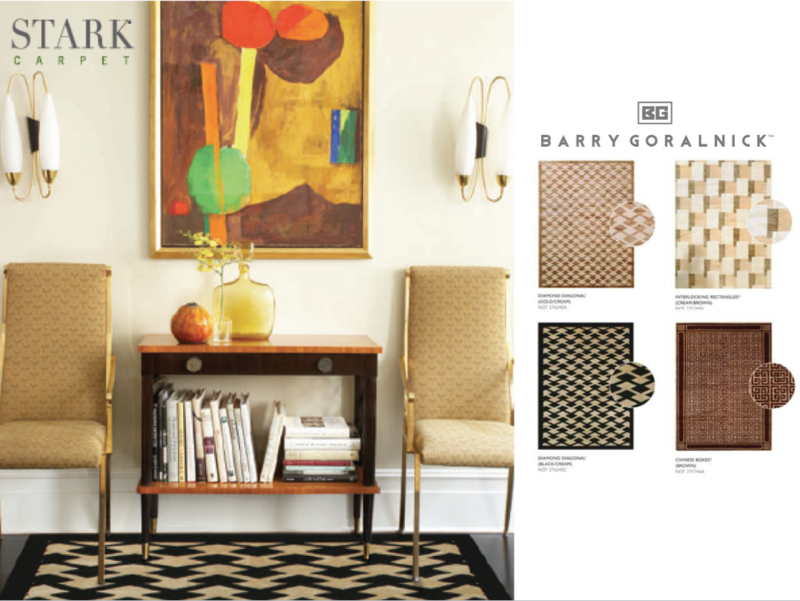 Goralnick’s rug designs are featured in Stark’s 75th Anniversary coffee table book, Decorating with Carpets: A Fine Foundation. His carpet designs have also been featured in a number of publications including New American Luxury, Luxury Home, Architectural Digest, Interior Design, and House Beautiful.